The ‘Night Ride to Armagh’ music captures Armagh’s tourism highlights and is used as a backdrop to Visit Armagh’s latest promotional video which can be found on the recently launched Visit Armagh website. The music had originally been created by musician, Brian Finnegan - a world-renowned flute player and former member of Armagh Pipers Club - who then reimagined and rerecorded the piece with a ‘contemporary’ twist to convey the authenticity of Armagh. A key feature of the reworked music is the merging of musical traditions to include Irish music and the Lambeg drum - which is traditionally associated with Ulster Scots - to reflect on how present day, modern Armagh is built against a rich background of history, reflecting on the Celtic legends and mythologies associated with the City’s ancient sites. The music, arranged and mixed by Beoga founding member Sean Og Graham, was performed by Brian Finnegan, Liam Bradley, John Joe Kelly, Aidan O Rourke and accompanied by renowned Lambeg and snare drummer, Mark Wilson. It was then set against a showcase video to support the launch of a five-year tourism development strategy aimed at building the borough’s national, regional and international profile as a successful and compelling tourist destination. Commenting on the commission and project, Lord Mayor Gareth Wilson said: “The Armagh, Banbridge and Craigavon area is rich in history, culture and heritage and has a strong musical pedigree in traditional Irish music, Ulster Scots and piping. Providing authentic experiences, driven by local champions like Brian Finnegan, aim to help increase tourist spend and enable us to better compete in the highly-competitive global tourism marketplace”. The high-profile trad band, Beoga, who originate from Co. Antrim, co-wrote Sheeran’s massive hit ‘Galway Girl’ and have also featured on his ‘Nancy Mulligan’ track as part of the Divide album. 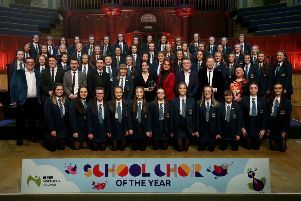 The band has been shortlisted for a Grammy, performed with the Ulster Orchestra at the BBC Proms and been presented with certificate of Congressional Recognition from the US House of Representatives. They are currently writing an album with Johnny McDaid of Snow Patrol and Foy Vance. To view the ‘Night Ride to Armagh’ video, visit www.visitarmagh.com.